Flying At the beginning of your upkeep, you may sacrifice a nonartifact creature. 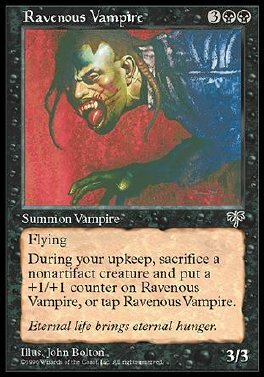 If you do, put a +1/+1 counter on Ravenous Vampire. If you don't, tap Ravenous Vampire.